Mwana Baby Home: Our new Mwana Home! During the rainy season, one particularly hard rain flooded the baby home, filling the home with dirty water, leaking sewage, and damaging the foundation. While the baby home was cleaned, the mamas and babies were cared for at Cheryl and Lambert's home. The Laki-Laka kids pitched in to help care for a very full house! We located a new home just in town, which allows for a more accessible location for Congolese volunteers and supporters to visit the home. The new Mwana Home is larger, increasing our capacity to meet the needs of babies in need of care. The babies are thrilled with the new outdoor space which allows them to play outside each day! 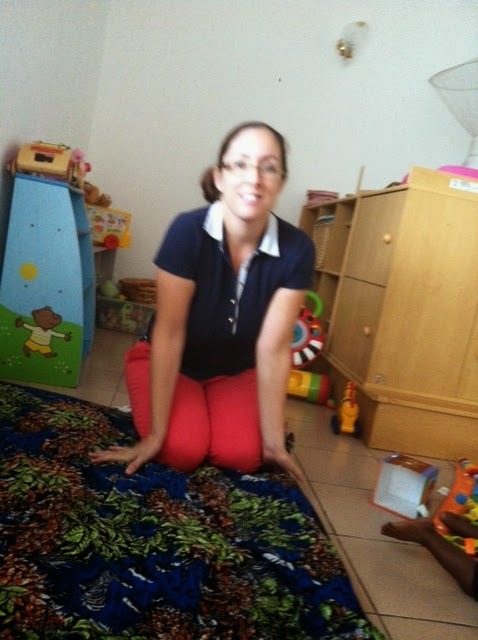 A Canadian volunteer visited for three weeks to help implement developmentally-appropriate activities that encourage social, emotional, and physical development. Now the mamas have a daily activity routine to implement, and everyone is loving it!